In addition to effortlessly powering ten 1,000 watt lights at 240-volts, the Powerbox DPC-12000TD has a special feature to protect the life of your bulbs during power failures. Dial-in a delay of .1 to 10 minutes before your lights will restart when power is restored after a power outage. 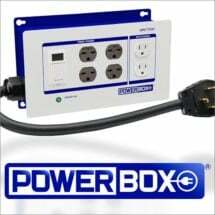 Available in 50 or 60 amp capacity. • Detachable trigger cord can override the built-in timer — allows the unit to be operated by other devices! 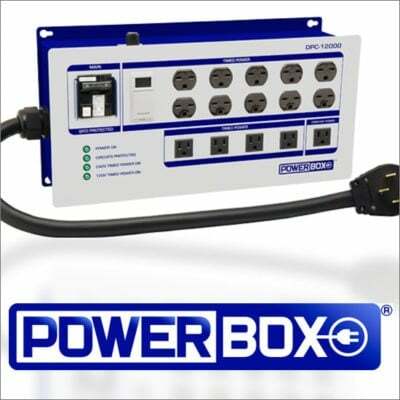 Powerbox lighting control devices are designed to run your HID lights at peak efficiency, while keeping you and your garden safe. 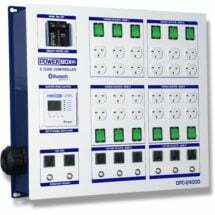 Connects to a 4-wire 240V service, but provides six 120V outlets (10 amps each). 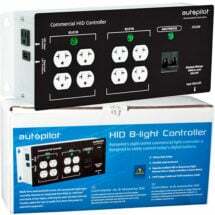 Includes 8 plug-ins that can get juice to multiple light setups at once — safely. 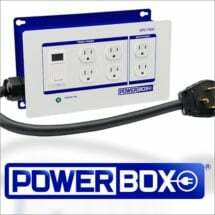 Connects to 240V power and includes four 240V outlets and two 120V outlets.